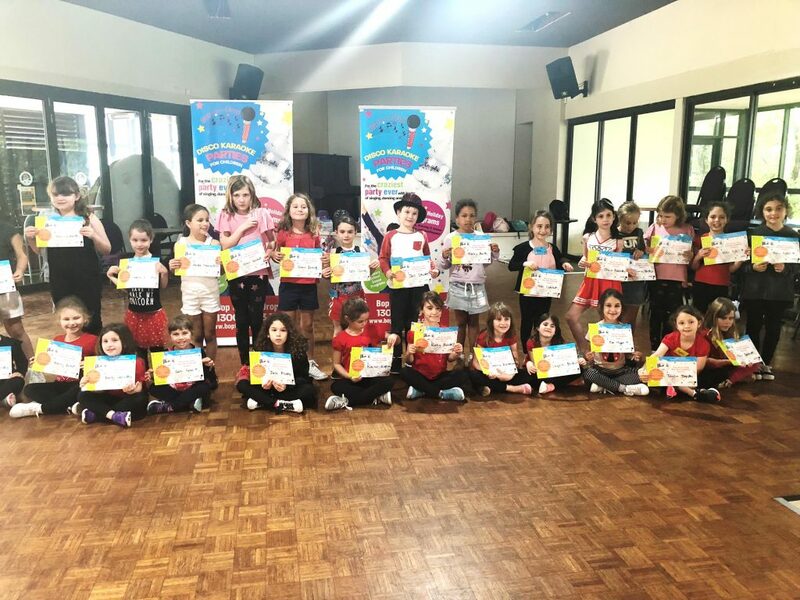 Performing Arts Programs is run over two days and incorporate a combination of activities for your child to gain self-confidence, learn new skills, be active and meet new friends. We run a structured Performing Arts Program with rotating classes each day. 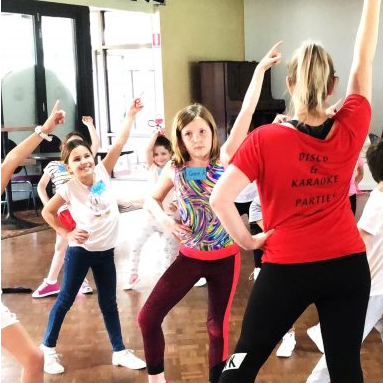 Our professional teachers conduct classes to increase your child’s skills in Singing, Dancing and Acting. We also run additional classes such as cooking, science, craft and magic to break up the day and keep your child super active. On the second day, the children will perform a CONCERT where family and friends can witness their new found talents. We also present each child with a Graduation Certificate! Note: This is a 2 day workshop. The children will be split into 2 groups. Each class will contain approximately 10-15 children per teacher. The children are grouped according to their age and with friends. Sometimes classes can grow to 20 children; in this incidence a second teacher will be present. There is also an additional supervisor who oversees the whole workshop and helps out were necessary. Can my child be grouped with their friends? Yes of course, as long as their friends are in the same age group. We want your child to have the best time possible therefore we need to group your child based on their maturity. What if my child does not know anyone? Do not worry; this is a perfect opportunity for your child to make new friends. The program consists of numerous team building activities, especially on the first morning which encourage the children to mix with others. Does my child have to attend the whole program? We strongly encourage your child to attend the whole program. Each day the children are put into groups for various activities and some activities carry on over to the following day. The children also build friendships and may be put out if someone doesn’t attend the whole program. Part attendance will need to be confirmed at the discretion of the office. We begin each day with fun warm up activities, and then like a school day the children are put into groups and off to classes stopping for recess and lunch. The classes over the two days will consist of: Dancing, singing, acting, craft, science and cooking. On the last day we have a little party where Bop Till You Drop provides party food for the children, e.g. chips, lollies, chocolate. We do understand some children have special dietary requirements, therefore if you do not want your child to participate in the party please let the staff know. What time is the concert on the second day? The concert is held on the second day at 2.30pm. We welcome all parents, guardians, grandparents, family and friends to come and witness their proud performance. They will also be awarded a certificate for their efforts. What do they wear/bring for the concert? If possible, we would love your child to wear red and black, but only if they already have these colours. Please do not go out and buy new clothing for the concert. If you do not have black/red tops and bottoms, the closest colour to black/red will do. Some children will bring props also. Closed shoes suitable for running and dancing, e.g. sandshoes. (please no thongs, sandals or dress shoes). Clothes suitable for active classes. Recess and lunch. No allergy foods such as nuts or foods with nut traces. Bop till you Drop runs a structured Performing Arts Program with rotating classes each day. 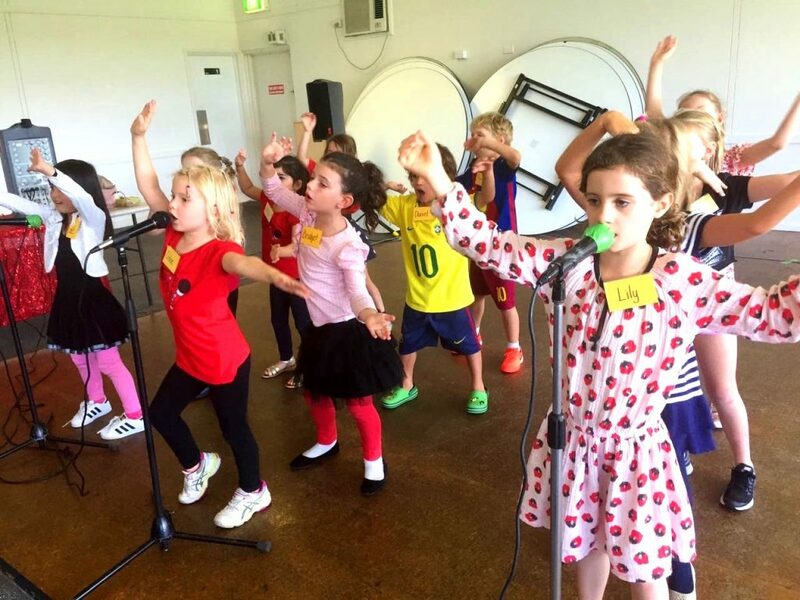 Our professional teachers conduct classes to increase your child’s skills in Singing, Dancing and Acting. We also run additional classes such as cooking, science, craft and magic to break up the day and keep your child super active.